Select Basement Waterproofing is the leading local basement waterproofing contractor, serving NJ families with a sub-floor drainage system engineered specifically to solve basement water problems in our area. Our systems can be designed to meet the needs of any home, regardless of age or size. If your basement has ever leaked or flooded, you should consider a quality basement waterproofing system. Without basement waterproofing, water problems never get better, they only get worse. Even if water leaks are uncommon, your home's air quality can be impacted and your ability to finish your basement is restricted. Select Basement Waterproofing's waterproofing system is a sub-floor drainage system engineered specifically to solve basement water problems effectively without worry of clogging from soils under the floor. Our systems can be designed to meet the needs of any home, regardless of age or size. At Select Basement Waterproofing, we offer a combination of experience and advanced technology. Our team of experts will make sure they are quick and efficient providing high quality service using only the best technology out there. We only install closed drainage systems which utilize a wall vapor barrier to direct water down into the sub-floor drainage. Then, our powerful, patented sump pumps pump water out of the home.. Call our basement waterproofing experts today at 732-360-5052 or fill out our inquiry form for a free basement inspection. We are in business to create healthy, livable spaces for NJ families. There are many ways to lower the humidity in a basement or crawl space. Dehumidifiers are a good start, and can greatly alleviate basement moisture issues. Unfortunately, they are rarely enough to solve the problem. 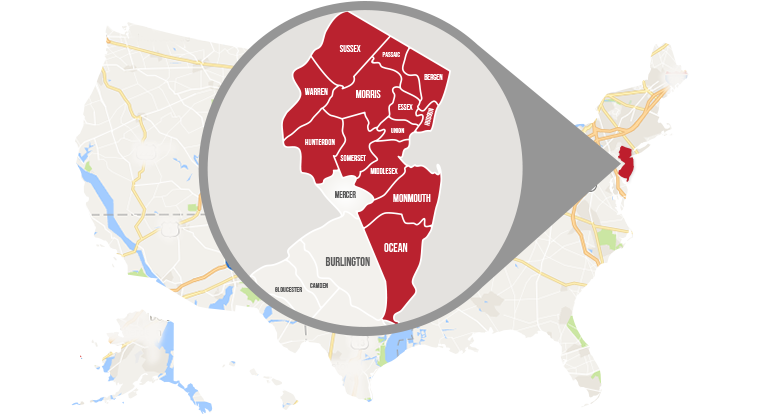 In the last several years, Select Basement Waterproofing has been installing the Moistu-Vac™ System on our GrateDrain™ systems for our customers in New Jersey. This system includes a piping to the roof of the home and a fan which is installed outside or in the attic that draws air and moisture up from underneath the basement slab. This innovative system can remove up to 13 gallons of moisture from under the basement slab each day, capturing moisture before it even enters your home or building. Contact us at 732-360-5052 to have one of our expert project managers assess and recommend the ideal moisture control option for you.